The specific villa, extending in 500 sq.m, features one of the most impressive holiday villa decors in Crete! It is an outstandingly comfortable and functional residence, enjoying the finesse of modern Italian design (Morozo) furniture. In the main area of the villa, there is a modern dining table for 10 people, 2 living rooms, a huge 60″ wall-mounted TV, an astounding Hi-Fi system with 4 amazing speakers, a modern play room with in-built home cinema, and a specially designed card table. The villa features 6 bedrooms, 7 bathrooms and can host, comfortably, 12 people. Tour this unique Holiday villa with Italian design in Paleokastro! Villa Ioanna in Plaka is set to a private land of 5,000 sq. meters full of green olive groves. Therefore, offers privacy, tranquility and relaxation. The standard of the interiors is very high with modern style and luxurious aesthetic. 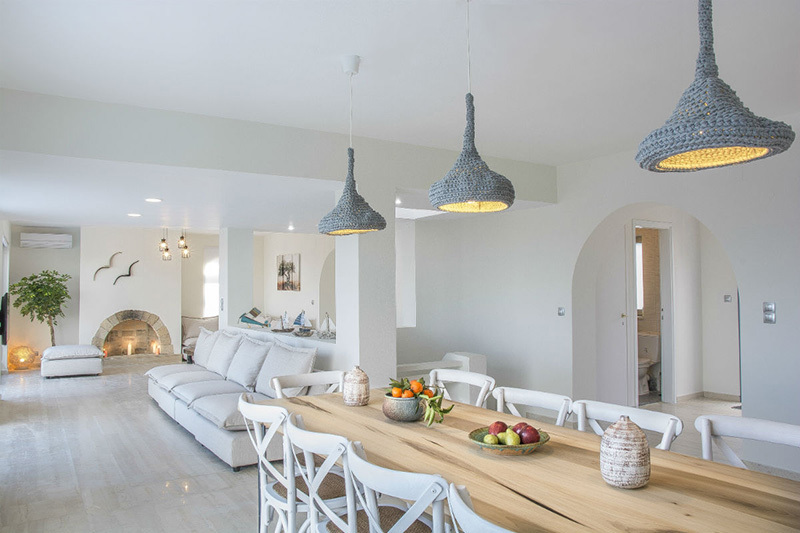 Tasteful furnishings and interior design full of blue and white colours which are the traditional Greek standard colours. You can enjoy the stunning views to the sea from the upper floor while relaxing at the huge sofa. The villa consists of 7 bedrooms and 4 bathrooms separated into two floors. The max. 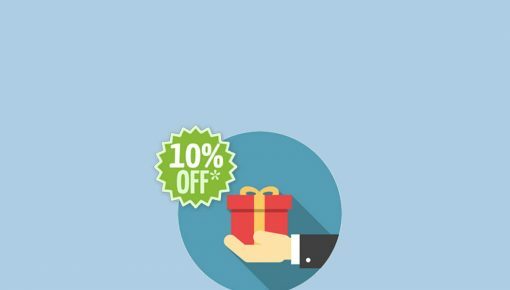 capacity is 11 to 12 persons. Three of the bedrooms are with double bed while 2 bedrooms have two single beds each. The sixth and seventh bedroom has a semi double bed each. One small bedroom is on the upper floor while all other 6 bedrooms are in the lower floor. Tour the Luxury villa Ioanna with traditional Greek color! Simplicity, wood and stone; these are the key-elements of this holiday residence. It is built on the slope of a small hill, set among endless olive groves, with view at Pitsidia. The property covers a surface of 2.000 m2 and is located within the area of the village. The building is 270 m2, entirely built from natural stone. The walls are 60 cm thick, ceilings are made from Swedish wood and the floors throughout the house are made from cement mortar. There is underfloor heating and cooling, operating on heat pump. The frames are made from energy class aluminium, with double energy glass. The ground floor is 170 m2. It comprises 2 cozy bedrooms, 2 bathrooms, a store room, a combined kitchen – living room area of 40 sq.m. with a large energy fireplace. Each bedroom has its own covered porch with tile. The villa features one of the most special holiday villa decors you have ever seen! 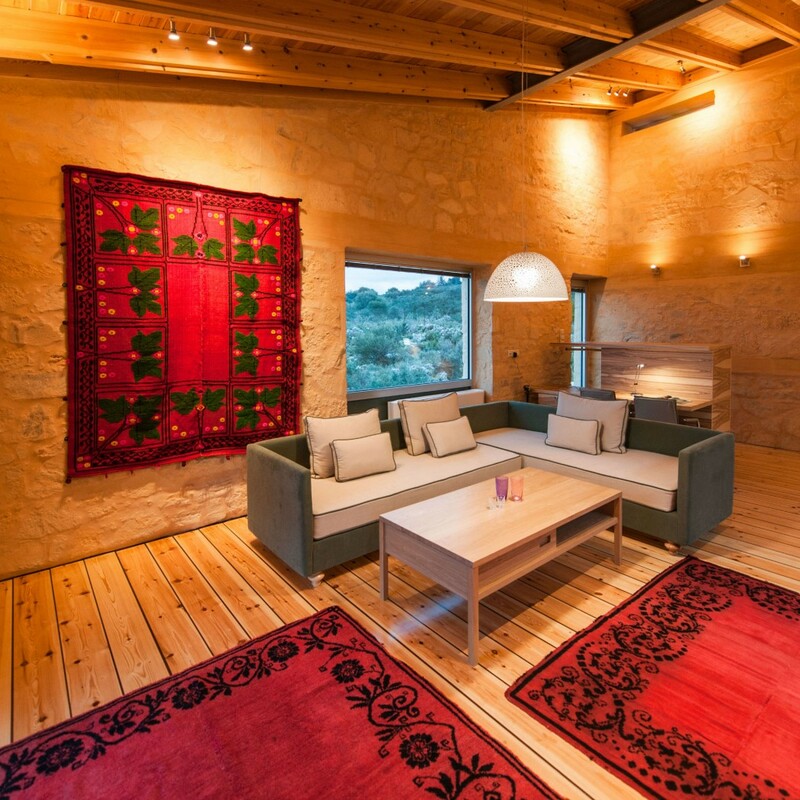 Tour this Stone holiday home in Pitsidia! Exclusive location, sea access, private infinity pool, modern design. 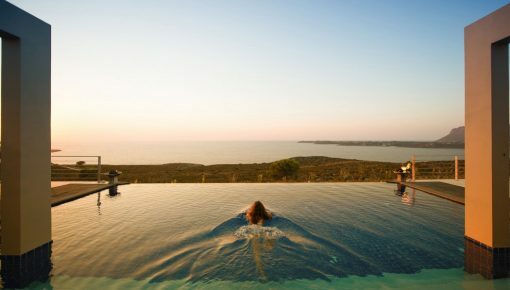 This 5 star luxury villa overlooks the bay of Chania and embraces the sea like no other in the area. It is one of the very few to offer direct access to the sea over a private pathway leading to the rocky coastline. Designed by a sea lover, 3 of the 4 master bedrooms and both living rooms assure breathtaking panoramic views over the turquoise bay. 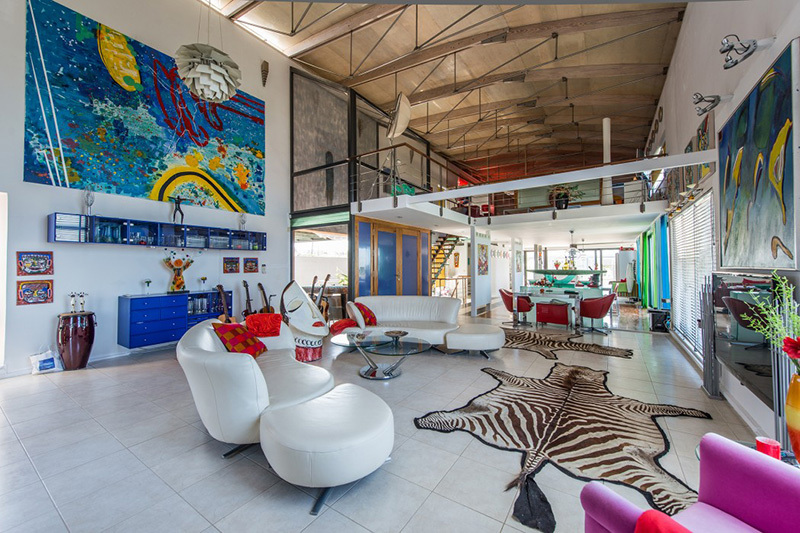 From the minimalist architecture to the quality of the construction and the exclusive interior design and furniture, the owner has made no compromise. This luxurious villa is clearly the ideal retreat for a demanding guest, as it has primarily been designed as the lifetime dream of its owner, not as a rental estate. Stay in this villa and you will enjoy one of the most amazing holiday villa decors in Crete! 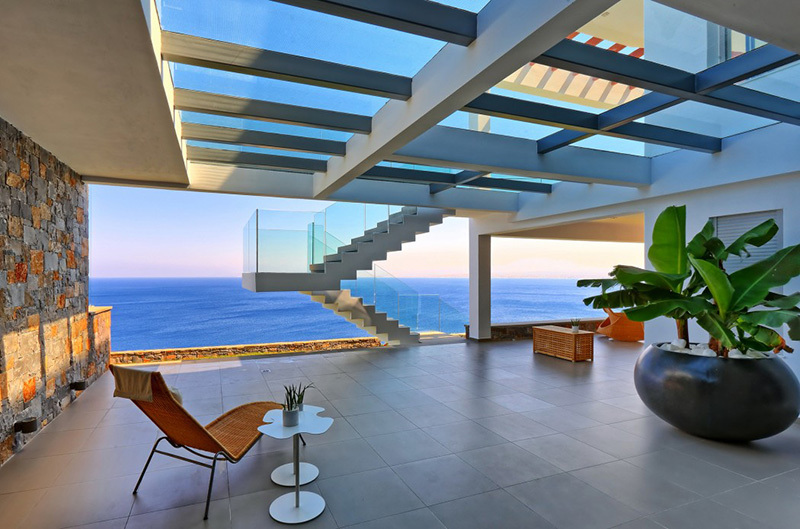 Tour the special design of this Luxury seafront villa in Akrotiri! Villa Lene is a newly refurbished private luxury six bedroom villa with private pool. It has a panoramic sea view overlooking the bay of Kalathas with its fantastic sunsets. It is located within walking distance to the sandy beach of Kalathas. Set in its own 4000 square meter plot high up on a hilltop, it gives the perfect surroundings for quiet holiday with built in luxury. The interior of the villa is really artistic! It combines the light white with paintings and special decorations in various bright colors. This villa exudes luxury, combined with a sense of innocent childhood! 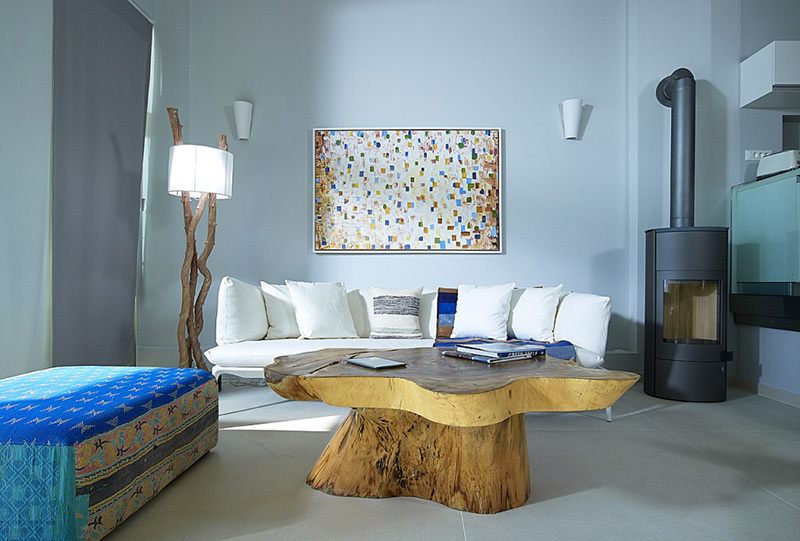 Tour the Artistic Holiday Villa Lene! Kaminia villa is a brand new villa, recently built by Aristomenis Varoudakis. Aristomenis has created the most impressive holiday villa decors in Chania. It is located in the beautiful village of Agioi Pantes in Apokoronas of Chania. Blending the amazing view with the luxury and the exquisite architectural design, Kaminia villa offers a unique experience of relaxation in the embrace of the Cretan nature. The combined use of high quality natural materials (wood, stone, iron, marble) both in the construction and furnishing of the house make this accommodation really unique! What is really impressive in the specific holiday villa is that the pool starts from the middle level, passes through the house and ends outdoors. All the indoor spaces have large windows so the house is sunny all day long and you can enjoy wonderful views of unique beauty. Especially the wooden deck over the pool gives access to a spectacular scene, a trademark of the Cretan nature. Tour the unique Kaminia holiday villa in Apokoronas! Villa Apoi, one of Adeste villas, is a 220 sq.m. property consisting of 3 levels. The villa is built on the highest level of the plot. It enjoys panoramic views ranging from the blue strip of Souda Bay, the scattered Apokoronas villages to the magnificent White Mountains. The design of the villa is Mediterranean contemporary, combining timeless pieces in neutral tones with splashes of colors. It is one of the most relaxing holiday villa decors you have ever seen! Spend your lazy mornings by the private swimming pool with the large deck terrace and finish your day with a restful sleep ensured by top-notch mattresses, a pillow bar service and luxury custom linen. Tour the Mediterranean Adeste villa! A majestic villa of three storeys and 320 square meters is there to host cosmopolitan travelers, including lovers of beauty and warm welcomes. 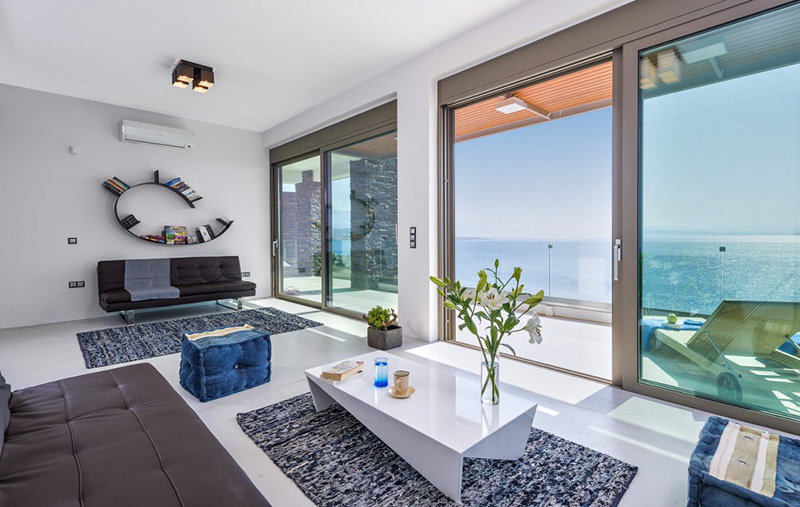 A special living space offers panoramic view to the Cretan sea and the majestic White Mountains. The mild climate and the key location allow the exploration of Western Crete. The villa opens doors to elegance, luxury, the value of personal care and the reputed Cretan hospitality. It is a villa with a soul! Big openings allow the full glare of daylight to highlight the earthy tones of the villa that invade the space and blend harmonically in with the complementing white background. All indoor areas have been decorated with well-chosen details intended to soothe senses, see to fulfilling your every desire and breathe out sophistication and hospitality. 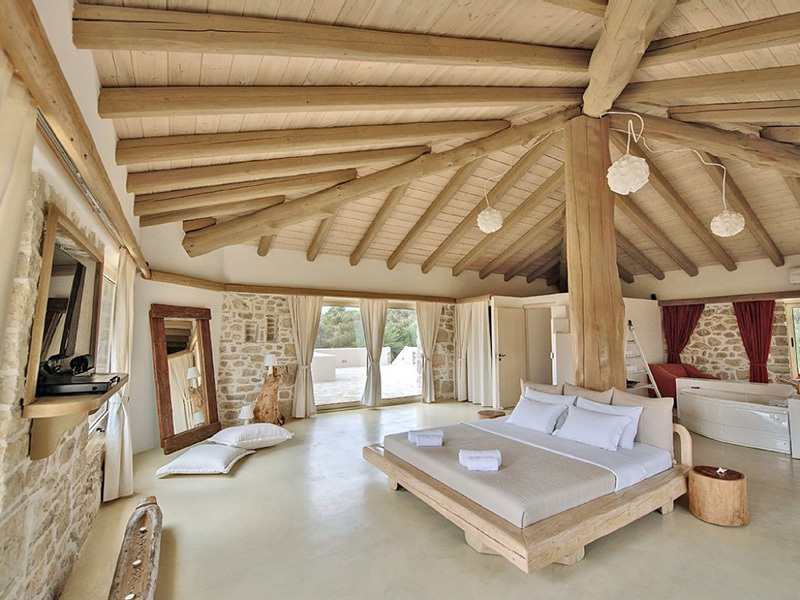 Entering from the main entrance, the villa is a spacious living area, with a high ceiling supported by wooden beams. 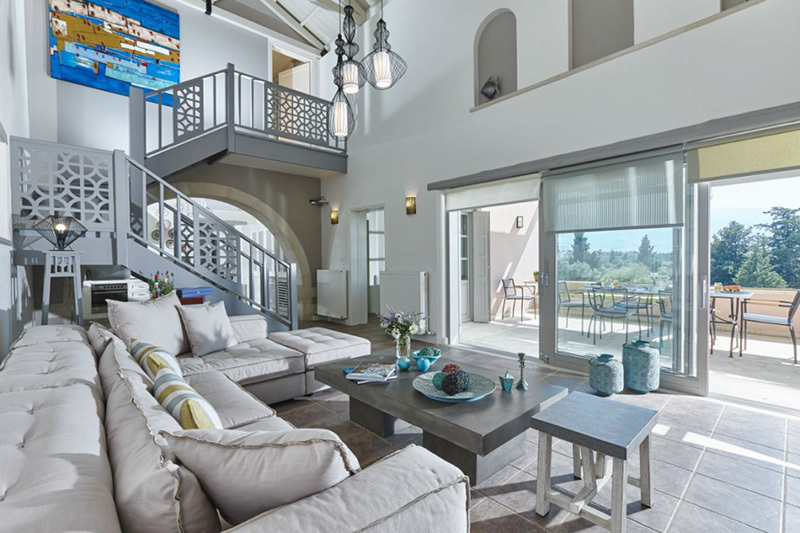 Sophisticated furnishing with a touch of tradition, tints of personal taste, carefully selected lighting, stone or fine wall finishing, bathrooms and kitchens all picked out having in mind our guest’s well-being ornate all three levels of the villa. 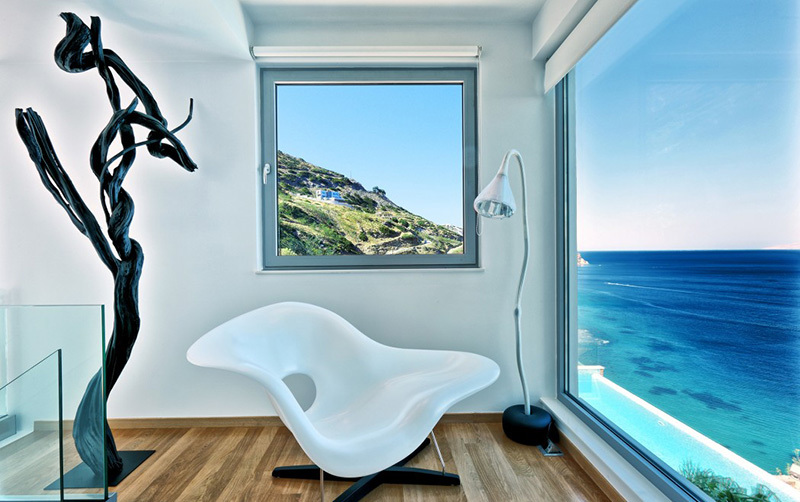 Tour the modern interior of this Luxury holiday villa in Apokoronas! 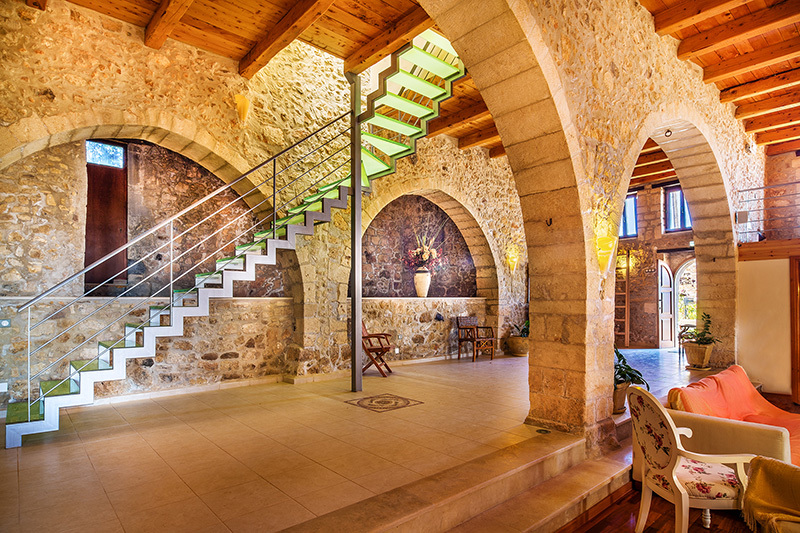 This stone holiday home in Maroulas features one of the most special holiday villa decors in Crete! The nearly 400 sq.m. architectural interior has been elevated to a high level of comfort and beauty: stone arches, vaults, tunnels, a professional equipped kitchen, giant screen television, audio equipment and a mezzanine with a work space and Internet/Wi-Fi Access. Sheltered by its high walls, the villa, as its garden and its swimming pool, offers a breathtaking view of Psiloritis Mountains and the Aegean Sea. Set in the village of Maroulas, it is just 5 minutes from some of the most beautiful beaches. The villa has 4 bedrooms and hosts, comfortably, 12 guests. Tour this unique style Historic village house with sea view! 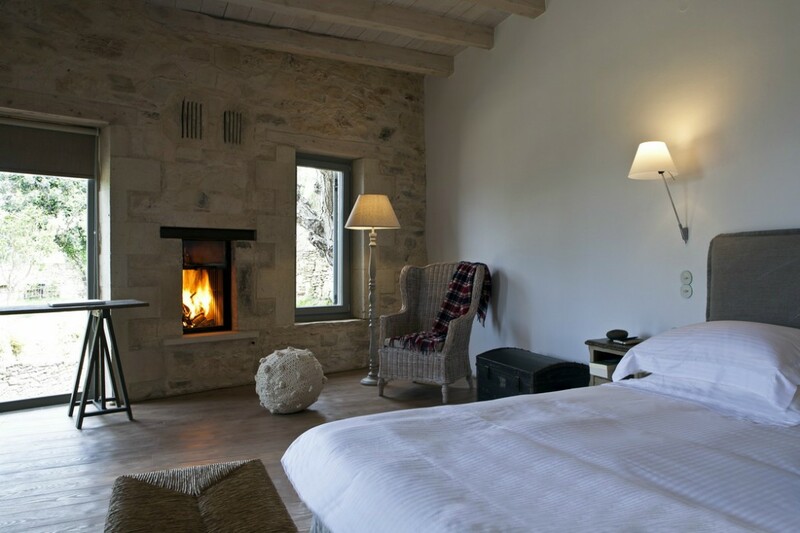 A 250 year-old olive oil press has been recently restored to create an elegant boutique-style villa. The villa combines discreet rural chic with all the amenities that holidaymakers expect. Guests in all three accommodation units share a luxurious lounge and kitchen as well as the courtyard and garden with its secluded private swimming pool and Jacuzzi. The villa is an ancient monument, a remarkable example of local, traditional architecture. Elements such as the main entrance, the stone openings, the interior patio, the traditional exterior oven, the well and the semi-circular arches typical of the architecture of the time, as well as the original oil extraction machinery, have all been preserved intact. This renovation process resulted in a luxurious and contemporary villa complex. The property, featuring one of the most impressive decors you have ever seen, is rented in its entirety and comprises of three autonomous deluxe suites,. The suites are named after the trees that grace their entrances.The Elia (Olive tree), Rodia (Pomegranate tree) and Karydia (Walnut tree) suites can accommodate a maximum of 10 guests in total and all exhibit the same refreshing style and attention to detail. Tour the wonderful interior of Elegant Athermigo villa! 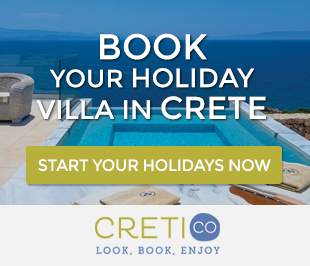 Posted on 11 Aug 2016 in Featured Posts, Holidays in Crete and tagged Villas In Crete.